Don’t have your box of color crayons handy? Not a problem. We found this Web page that has a great bit of fun for the kids. No need to worry about marking up the table cloth when a pen goes wide off the paper. 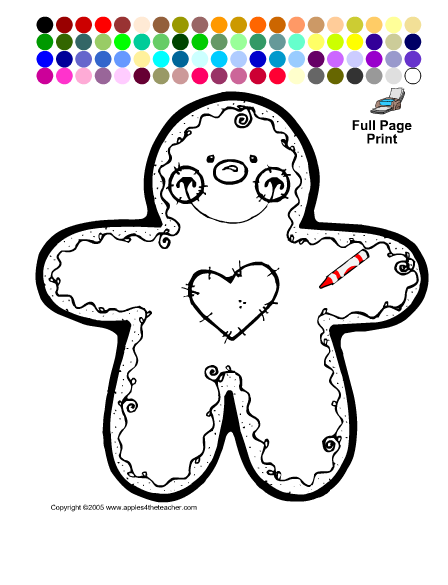 This interactive color site has a fun Gingerbread Man that kids of all ages (yes, that means us too!) can color between the lines using their computer. There is a wide variety of color choices so no two finished pieces of art will look the same. If you want to keep the creation, a print feature is provided for too. The default printing looks like a full size page of paper so the Gingerbread Man will be enjoyed by many. There are many other holiday coloring outlines available, so there is something for just about everyone.